Thankfully, there are more people looking out for you and your college expenses than just you, your school, and your parents. Believe it or not, your state cares, too, and if you live in Delaware they have a whole host of programs to prove it and serve as an asset to you as a very valuable and educated citizen. The Higher Education Commission – part of the Delaware Higher Education Office – is Delaware’s state agency that works at managing and regulating resources and access to student aid within the state. The Office provides a very institutional look at available state aid, including state-based scholarships and grants, as well as career-specific loan forgiveness programs for critical needs jobs within Delaware. The state itself houses 23 financial aid programs in addition to six private scholarships to promote affordable higher education. Delaware does not provide access to special state-based loans any longer, but does feature an array of different loan repayment programs for select careers. The Higher Education Office will be a great overall resource to any undergraduate or graduate student attending school in the state of Delaware. Students wishing to explore an overview of the state university system and other collegiate resources will also find clear articles and links through their helpful and user-friendly website. Like many other state-run financial aid websites, you can create a username and password, login to your personal account and access your individual information and loan records. You can also learn more about the Delaware College Investment Plan, the state’s very own 529 savings kit, via the website. 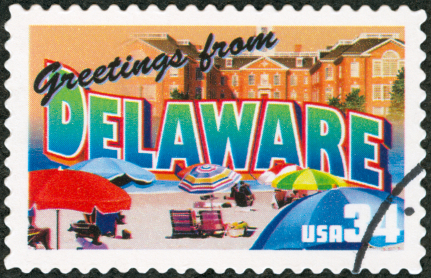 Delaware is home to several professional incentive programs that work heavily to recruit future doctors, nurses, teachers optometrists, librarians and other high-need, high-education career people and forgive their loan repayment as a way of drawing them towards work in Delaware. Another unique state opportunity exists for those wishing to study at the Delaware Technical & Community College or the University Of Delaware. Students will receive a full tuition award in exchange for keeping up a clean record and 2.5 minimum GPA. Similarly, the Inspire scholarship for Delaware students intends to promote higher education among its citizens by guaranteeing a full-ride at Delaware State University to those students who engage in community service and keep up a 2.75 GPA. In addition to these generous scholarship and tuition payment deals, there are a number of loan borrowing options that are open to Delaware students dedicated to receiving their degree. Almost every student whose tuition and other expenses are not covered by scholarships, grants, or out-of-pocket payments, needs federal aid to help cover the cost of education. The most commonly disbursed federal loan is by far the Stafford Loan, which is now offered directly from the federal government. This loan is one of the lowest-interest and best options for borrowing that a student can receive. Flexible repayment terms and possibilities for consolidation are always available down the road if you, like many graduates faced with loans, feel the need to rework your financial situation to be more manageable. Notably, while AES historically had an agreement with the Delaware Higher Education Commission to guarantee loans, this is no longer the case as federal loans now come from the Direct loan program mentioned above, not from private organizations. The AES organization has stopped guaranteeing FFELP loans as this program has been closed. However, American Education Services still offers several loan services that will interest savvy students in the market, including alternative loan processing, debt management services, and loan servicing. These contain attractive features that cut costs where they can and should be taken advantage of by those who are dealing with private loans. AES is able to certify and disburse private, or alternative, loans from Delaware schools. These features are offered to Delaware students with across-the-board incentives like discounted fees and paperless billing. The ubiquitous Sallie Mae, one of the most prominent private lenders in the country, works hard to provide students, including those from Delaware state, with access to the best corps of alternative loans available without the hassle of having to pick and choose providers and compare fees themselves. The comprehensive and easy-to-understand Sallie Mae website essentially does the hard work for you, in this case, and you are left with smart and savvy loan choices to make for your particular needs. After 2010, Sallie Mae no longer originates federal loans, which are available through the government instead. Students have incentives for borrowing loans through Sallie Mae, such as few origination fees and low interest. Additionally, their private loans provides several attractive features including waiving interest payments until after graduation, cutting the typical fees associated with the loan and not expecting student/borrowers to be employed. These little details can make the difference from entirely stressful to utterly manageable in a student’s borrowing experience, so take advantage of them while they are there. Finally, the tuition payment plan, a side option offered through Sallie Mae, is a non-loan possibility that is interest-free, easy to acquire, and more financially manageable than huge monthly loan payments. Citizens Bank is another provider of private loans to students attending college in Delaware, and offers several types of federal direct loans as well as one private loan, the TruFit Student Loan, that come bundled with an assortment of collegiate incentives and options for repayment. Access Group is a not-for-profit student loan service that has been located in the Northeast for a number of years and even received government support to remain open and useful to students as a central hub of information on paying for college. With all the legislative changes and transfers in federal loan origination that have occurred in recent years, Access is no longer a source for student loans, but now specializes in servicing information instead of monetary funding. They instead focus on need analysis for student borrowers as well as financial literacy for the college-bound crowd. Check with Access to see what they are offering in terms of tools and information at the moment amidst their ever-changing options. As a bonus, it is worth exploring their website for helpful articles on loan fundamentals and the nitty gritty of loan dialogue. Features such as their Wise Borrower education program and Need Access assessment calculator may be helpful to you as you navigate tricky financial terrain. Between the loan forgiveness offerings from the Delaware Higher Education Commission’s professional incentive programs and the private borrowing opportunities through institutions such as Sallie Mae and Citizens Bank, there is going to be something for each student in Delaware who is on track to get loans. Take advantage of the unique opportunities for scholarships directly from the state, as well, and make sure to submit your FAFSA early and completely to get going on the financial aid process. For loans, you will first choose between public and private, undergraduate and graduate, and then by type of loan available, and by doing so create a comprehensive financial package that suits your needs exactly while benefiting both you and your state’s personal economy.